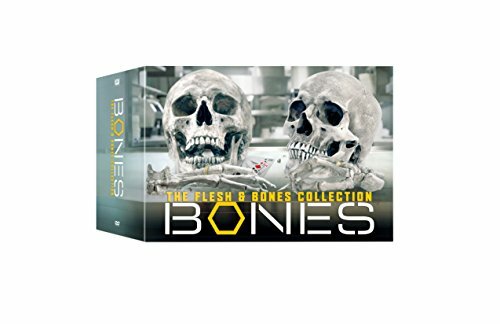 Based on the experiences of real-life forensic anthropologist Kathy Reichs, this chilling Fox mystery series focuses on Dr. Temperence "Bones" Brennan (Emily Deschanel), a forensics expert and part-time novelist who gets recruited by FBI agent Seeley Booth (David Boreanaz) to help solve a series of murders involving victims who cannot be identified by conventional means. Jonathan Adams, Michaela Conlin, Eric Millegan also star. 245 episodes on 66 discs. 175 1/2 hrs. Widescreen; Soundtracks: English Dolby Digital 5.1, Spanish Dolby Digital 5.1; Subtitles: English (SDH), Spanish, French; featurette; character profiles.